Share God's Story anytime, anywhere. Always be ready to share God's story. Show it now. Send a link for later. Check global reach metrics. 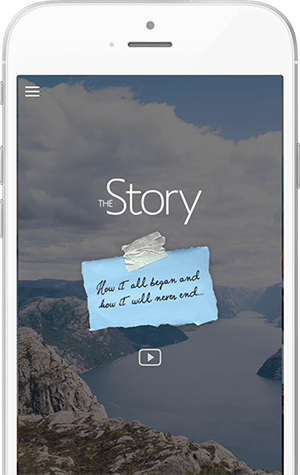 The Story: A robust app to share the beauty of God’s rescue in Jesus. Link to The Story so visitors around the world can watch/read. Share your link on social media around the world. Use the app to graphically walk someone through the Gospel. Get printed booklets to be distributed by you or your church. Track and map your visitors to see your global reach.